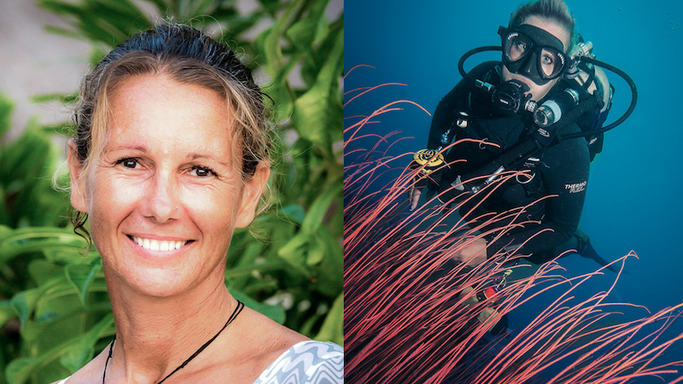 Girls that Scuba is all about empowering, encouraging women in all aspects of scuba diving, and it came to our attention recently that female underwater photographers were some what under represented. Of course we wanted to do something to change that, and while it may not happen straight away we'd like to encourage more GTS girls to take their photography one step further. So with the help of the Girls that Scuba first ever female-only underwater photography competition we hope to re-light your passion, improve your skills and maybe pick up a camera for the first time. We believe every photo and video has a story and we are not looking for "the best" photo or video, we are looking for the story behind it, the effort it took and the hurdles it jumped through. We are so excited to watch the creativity flow! Let's do this ladies, let's create a new community of female underwater photographers ready to spread the joy of the ocean to the world! 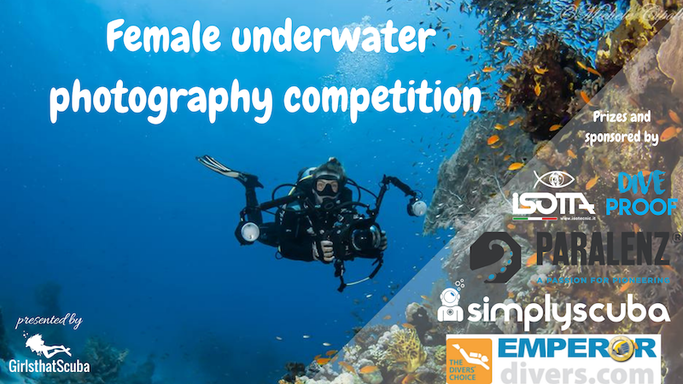 We have created 4 categories for our female underwater photography competition. We know there are many of you that have just started out with photography and some that are in the midst of learning. We want to encourage you to keep going and aim to improve and develop your skills, which is why we have a category just for beginners. A beginner is anyone that isn't using professional cameras (think action cameras or basic underwater housings) and isn't using high-quality editing. Small stuff matters too! We love seeing critters up close, and macro takes a real pro. Show us your best close up and tell us a story behind the shot or educate us on the animal you are shooting! How much can you fit in that lens? Have you been lucky enough to dive with whales, dolphins or sharks? How about a turtle in the deep or a diver just about to jump. Within this category we are encouraging you to submit portraits of divers, we love to see scuba divers about to do what they love. We believe videos have the power to inspire and educate others like no other. Seeing a video of the underwater world can single handedly make people want to start scuba diving. Show us your creativity, add music, let us see what lies beneath. A huge thank you to our sponsors who have offered prizes for the first ever GTS female photography competition. We truly appreciate your support of the female dive community and your belief in our projects as always! 1 prize for each category based on the judges votes. The winner of this category will receive ISOTTA GoPro housing; this GoPro housing is a pro photographers tool for underwater endeavours. Suitable for GoPros 3 - 6 (winner will choose which). With double o-rings on every mobile and removable part, ensuring an excellent watertight seal until 200 metres. ISOTTA is one if the top camera housing providers in the world sticking out with their awesome red colour! The winner of this category will receive a £500 Simply Scuba voucher to spend on anything you want on their online store www.simplyscuba.com. 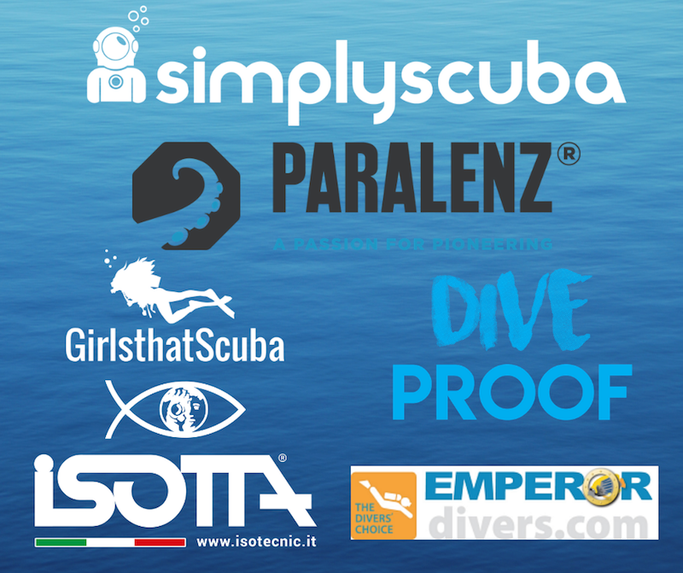 Simply Scuba is one of the world's largest online dive shops and good friends of GTS. We visit them regularly to look at new equipment and male fun videos for you guys, take a look at their YouTube here and see if you can spot GTS founder Sarah pop up! The winner of this category will win a liveaboard trip with Emperor Divers! You can choose any 'Reefs and Wrecks' Red Sea Liveaboard between 01/01/2019 and 30/06/2019. Guest can select a sailing based on their availability. 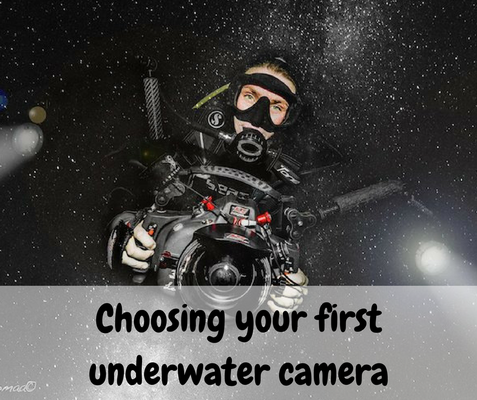 The winner of this category will receive a Paralenz camera - designed by divers for divers. Auto colour correction, easy to use features and no filters or housing needed, the Paralenz has become one of the most talked about dive cameras out there. We have been using the Paralenz for months now and love how amazing the footage comes out - perfect for underwater videos and photos! Dive Proof log books are water proof, grease proof, tear proof, chemically resistant and most importantly, environmentally friendly. The winner of the most votes it each category will received a customised A5 Feature Log book where they can pick any photo of their choice (providing dimensions allow) to create a full page colour front cover, as well as adding their name or any text of their choosing. Hey, that's us! Did you know we have an online store and sell GTS merchandise and eco-friendly products? We are updating it constantly with new products and for each entry with the most votes in each category they will win (alongside a Dive Proof log book) a Girls that Scuba mask strap in any colour a GTS phone case to fit your phone, and GTS sticker. Our 2 amazing judges will pick their favourite photo from each category and announce the winner based on their decision. These winners will win the top prizes. We encourage you to get your friends and family to vote for your pictures. The entry with the most votes in each category will win a personalised waterproof log book from Dive Proof with their winning photo on the front and some awesome GTS goodies! Adrienne is a photography and videographer aswell as a Girl that Tech Dives! She has supplied footage to CNN, ARD, Discovery and National Geographic. Her latest passion is CCR, recently reaching the pinnacle of technical diving with a certification to 100m. Silent diving fits perfectly with underwater filming, allowing her to get up close and personal with hard-to-capture marine life. Adrienne’s most enduring passion is the desire to use imagery to preserve our oceans, specifically, the fight to save sharks and rays in her adopted home of Indonesia. Her most recent highly acclaimed project "A Fish Full of Dollars" is a documentary about Tanjung Luar, Indonesia’s biggest fish market, which has been screened all over the world and won awards at a number of prestigious film festivals. Claudia is one part of The Jetlagged action-loving filmmakers and passionate divers always on the search for adventures from the polar circle to the equator. 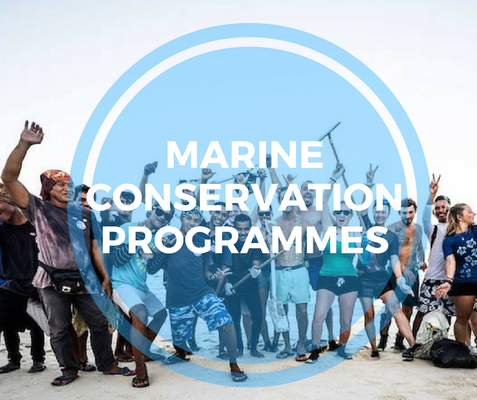 Claudia and her husband Hendrik consider themselves ambassadors of the sea and are fully committed to protecting the underwater world by taking pictures, shooting films and telling stories in and around the ocean, to inspire others to enjoy, explore and protect our oceans. Their documentaries have been shown on film festivals worldwide and have won international awards. To check out full terms and conditions please visit the "rules" section here or when you first submit an photo.